After crushing the Union Army of Virginia at the Second Battle of Manassas in the late summer of 1862, Confederate Gen. Robert E. Lee decided to take the war to the North. His Army of Northern Virginia would invade Maryland and Pennsylvania, seizing supplies and making the Yankees feel the wrath of war. But Lee's plan fell into the hands of the new Union commander, George B. McClellan. 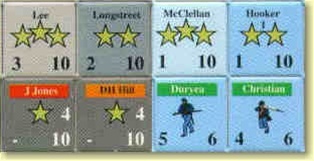 A brilliant organizer but a timid strategist, McClellan carefully moved to trap Lee's army on the wrong side of the Potomac River. The result would be a series of battles climaxing in the battle of Antietam, the most costly single day's fighting of the American Civil War. 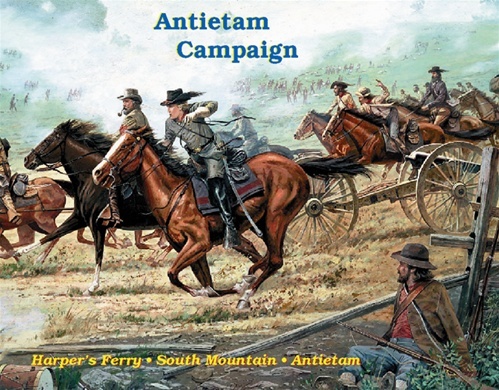 Antietam Campaign is the latest in a series of games based on Civil War campaigns. Scenarios cover the battles of Antietam, South Mountain and Harper's Ferry. 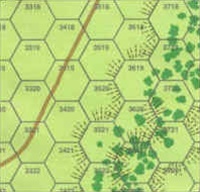 All can be linked together to re-create the entire campaign.